Confused About Hormone Replacement Therapy? When it comes to hormones, one size does not fit all. Early in my career I became aware that women were frustrated with the lack of individual guidance and limited hormonal therapies that were available from the conventional medical establishment. I began to listen carefully to their complaints and pursue additional study and training to understand the complexities of the perimenopausal transition and the increasing variety of treatment approaches becoming available. I have come to realize that there is no single best menopausal solution -- despite what the books, advertisements and specialized hormone clinics may claim. Each woman’s hormonal symptoms, lifestyle, budget and goals of treatment are unique. I bring to the table extensive experience with all options for managing your midlife transition – including compounded bioidentical hormones, regular pharmaceutical products, herbal and nutritional therapies and even acupuncture. I also have additional training in female sexual health, mind-body medicine, meditation and spiritual aspects of health. While hormonal health is an important part of your wellness plan, particularly at midlife, it cannot substitute for other aspects of wellness, particularly good nutrition, regular exercise, a happy and stable social and family life and good mental hygiene. Hormones generally cannot fix a troubled marriage, bulging waistline or serious mental health issue. Your decisions regarding whether to replace hormones are uniquely your own, depending on your individual situation. In addition to consulting with experienced health care providers, education and inner wisdom are your best guides. You are not alone . . . and I can help you with that. For the past 15 years, I have been helping women in Reno evaluate their personal risks and benefits and sort through the increasing deluge of information, hype, options and alternatives so that each woman can construct an individual plan for her unique hormonal transition. While the recent explosion of information and treatment options are truly a blessing, it is almost impossible for women to sort through these challenging issues on their own. It is important, however, to get advice from an experienced health provider who is thoroughly trained in all aspects of women’s health and can give you reliable and unbiased advice regarding long-term results – preferably a gynecologist – rather than someone with limited training in women’s health. The new terminology being used to describe hormone regimens -- natural, bioidentical, herbal, compounded, plant based, synthetic – can be difficult to understand and even misleading. I find it most helpful to use the term “bioidentical hormones” to refer to those hormones that are chemically identical to the hormones your own body produces. These bioidentical hormones – since they can’t be taken from other humans – are almost always synthesized in the laboratory from plant sources to make them identical to human hormones. Increasingly, the regular pharmaceutical products – for instance patches, creams and progesterone capsules – are made with these bioidentical hormones. In contrast, Premarin is isolated from horse urine, and birth control pills contain synthetic hormones that are not bioidentical; they contain hormones that are modified to be longer lasting or stronger acting in some particular way in the body. Of course, oral contraceptive pills also have an important place in women’s health. One way to get bioidentical hormones is from a specialized compounding pharmacy, which formulates them by special order into capsules, gels, creams, gummies or sublingual drops, especially for you. There are several compounding pharmacies in Reno. Sometimes when pharmaceutical hormones are not doing the job, compounding can be a good alternative, but it can also be more time consuming and expensive, so it is not for everyone. Compounding can enable us to more easily add specialized hormones, such as testosterone, that may be important for some women. Are There Risks with Bioidentical Hormones? Contrary to what you may have read or heard, real hormones, especially estrogens, have real risks – whether they are bioidentical or not. In particular, estrogen in any form is associated with increased tendency for the blood to clot, which increases the risk for serious blood clots and stoke. This is true of all estrogens and even true with the high estrogen levels normally produced during pregnancy. Formation of blood clots becomes a more significant risk as we age, and this is the main reason we often try to wean off estrogen by the early 60s, when these risks become higher. While almost all women worry more about the risk of breast cancer with hormone replacement therapy, it is important to understand that this risk is only mildly increased with long-term use of hormones. Unfortunately, in this culture, we are all at high risk of breast cancer and, contrary to popular belief, avoiding hormones provides very little, if any, protection against breast cancer. Safer menopausal alternatives may include bioidentical progesterone, phytoestrogens (isolated from plants like soy that have very weak estrogen activity but are not human estrogens), other herbs, lifestyle changes, acupuncture and even some antidepressants that are active against the hot flashes, mood problems and anxiety of menopause. Since safety is and should be a concern for us all, a combination of less risky therapies other than estrogen is often a woman’s educated choice. Again, an information-based individualized discussion of options, and regular follow up, are the best approach. Our nurse practitioner Sherri Aikin has completed a fellowship in Integrative Medicine (IM) with Andrew Weil, MD, who is one of the most reliable authorities on the use of alternative therapies in medicine. 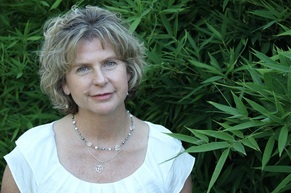 Sherri is trained to educate and guide patients through choices for healing and well-being. Menopausal symptoms, such as mood swings, insomnia, fatigue, low libido, hot flashes and many others, will often respond to herbal remedies, acupuncture, yoga, mind-body techniques, as well as bio-identical hormone replacement therapy (HRT). While HRT is sometimes needed, it is not always the safest and best way to treat a patient’s symptoms. Many woman prefer to try safer and more natural options before committing to HRT. Sherri helps patients tailor an individualized plan for midlife changes based on their preferences. Many patients do very well with alternatives like supplements and herbs. Some studies demonstrate benefit from the use of nutraceutricals (supplements) to help relieve symptoms of menopause for women. Herbal therapies, for example Black Cohash, have been shown in some clinical trials to be effective for many women. Other women find that high dose Omega-3’s help with symptoms. Some women can effectively use breath work and yoga to manage their symptoms. Basing a patient’s treatment on nutritional intake, lifestyle, exercise routines, stress levels, and desire to use supplements over HRT, Sherri often begins by recommending supplements because so many women respond well to them. However, women with strong symptoms may require more immediate relief that HRT can provide, in addition to their supplement program. For more information, see http://www.drnorthrup.com.